SERVPRO of Walnut has been a IICRC 'Institute of Inspection, Cleaning and Restoration Certification' certified firm since 2009. The IICRC set the Gold standard for the cleaning and remediation industry, of which SERVPRO is an industry leader. Below is from the official IICRC website http://www.IICRC.org. "IICRC Certified Firms have earned the right to display the cleantrust logo as a symbol of quality. In order to achieve IICRC- certified status, firms must meet a rigorous list of standards in business ethics and expertise." "The IICRC actively pursues relationships with fiber producers, carpet and fabric mills, furnishing manufacturers and retailers, and others affiliated with the industry. The use of IICRC- certified service professionals is specified in leading manufacturers maintenance brochures and warranties." SERVPRO of Walnut is honored to count it among the select organizations to receive this certification. We will continue to offer the same standard of excellence that you have come to expect, but now we have the IICRC stamp of approval to back that up. Smoke and soot are very invasive and can indulge it's self in various cavities within your home. which causes hidden damage and odor. Our smoke damage expertise and experience allows us to inspect and accurately assess the extent of the damage to develop a comprehensive plan of action. Smoke flows around plumbing systems, seeping through the holes used by pipes to go floor to floor. -Low heat, smoldering, pungent odor, sticky,smeary. Smoke webs are more difficult to clean. -Fast burning, High temperature, Heat rises therefore smoke rises. Since each smoke and fire damage situation is a little different, each one requires a unique solution tailored for specific conditions. We have the equipment, expertise and experience to restore your fire and smoke damage. We will also treat your family with empathy and respect and your property with care. 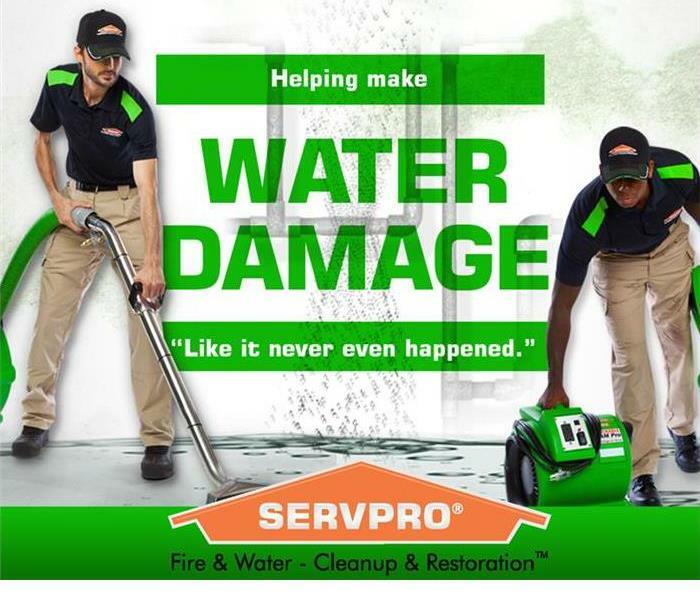 SERVPRO of Walnut provides 24 hour fire and water damage restoration service in Walnut and surrounding areas. SERVPRO of Walnut is available 24 hours a day for water emergencies, large or small. When you are dealing with water damage, immediate action is crucial. A delay of just a few hours can greatly increase the severity of the water damage. We understand that when you call us, you may be feeling confused, stressed, and vulnerable. You need an expert to guide you through this crisis. SERVPRO of Walnut has the specific water damage training and experience to help you through this tough time. We specialize in water damage restoration—in fact, it's the cornerstone of our business. 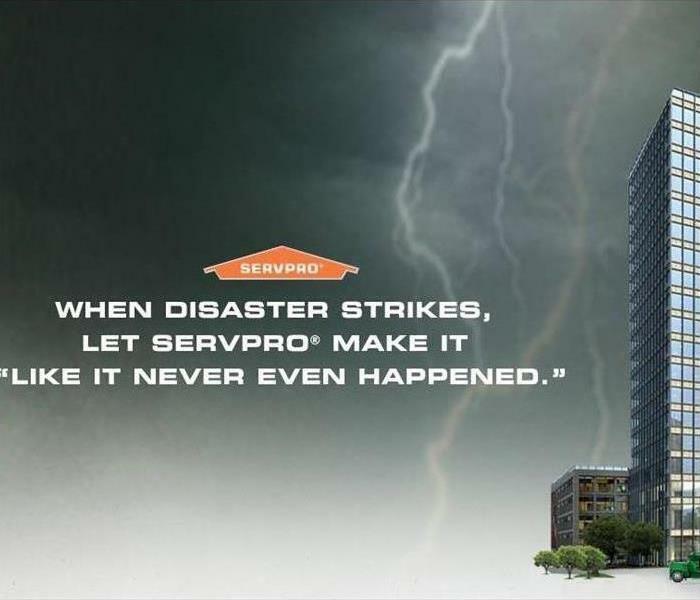 SERVPRO of Walnut specializes in the cleanup and restoration of residential and commercial property after a fire, smoke or water damage event. Our staff is highly trained in property damage restoration. From initial and ongoing training at SERVPRO’s corporate training facility to regular IICRC-industry certification, rest assured our staff is equipped with the knowledge to restore your property. Flooding and water damage is very invasive. Water quickly spreads throughout your home and gets absorbed into floors, walls, furniture, and more. SERVPRO of Walnut arrives quickly and starts the water extraction process almost immediately. This immediate response helps to minimize the damage and the cleaning and restoration costs. It's important to have and discuss fire escape plans with the family in case of any emergency. 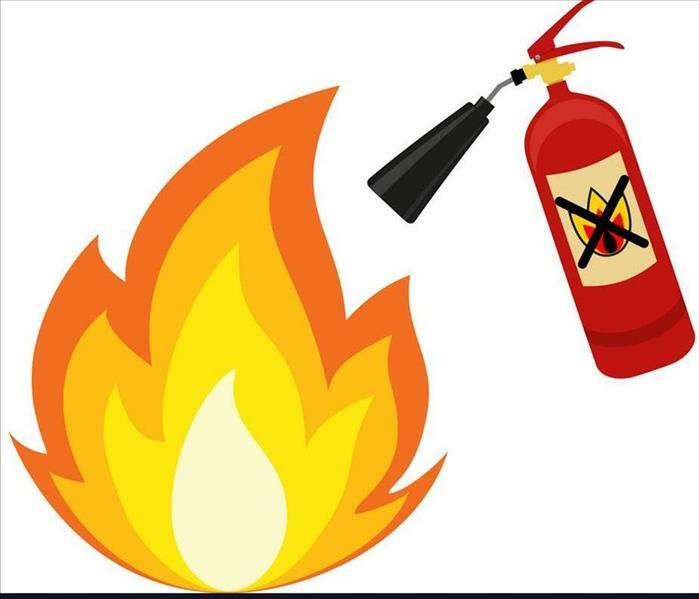 Safe Kids Worldwide explains fire emergency tips to create with the family and children. Create and practice a home fire escape plan with two ways out of every room. As part of your plan, designate one person to get infants and small children out safely. Have a back-up plan for young children just in case the primary person is overcome by smoke. Smoke is toxic. Teach children to “get low and go” if there is smoke when they are leaving the home. SERVPRO of Walnut provides fire, soot and water damage restoration service in Walnut and surrounding areas. The active wildfires here in Southern California are increasing their impact as growing Santa Ana winds add fuel to these devastating blazes that are encroaching in our area. According to the New York Times, new fires broke out in Malibu on December 7, with at least 96,000 acres already burned in the Ventura area and 116,000 acres in Los Angeles County. Evacuations have closed hundreds of schools and forced 200,000 of our neighbors to seek safety. The “Thomas Fire” in the Ventura area continues to burn with the aid of strong winds. 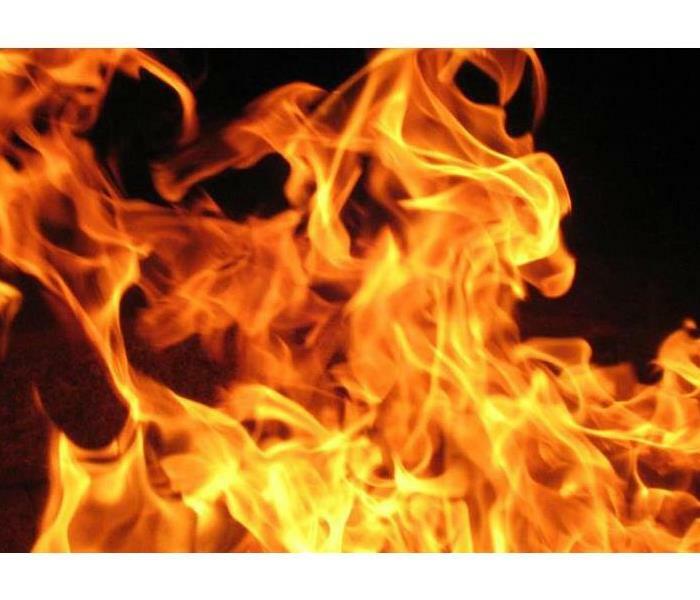 This fire has caused the closure of the 101 freeway and a boil-water advisory was issued for Ventura County. Santa Ana winds The Santa Ana winds that are enabling the fires to rapidly increase their reach can have speeds in excess of 60 miles per hour. They are not expected to diminish until Friday into Saturday at the earliest. The National Weather Service has warned of “very rapid fire growth” in this area. SERVPRO Meteorologist Lela Davis said that the Santa Ana winds were already very dry when they reached the Southern California valley, allowing them to quickly pull moisture out of vegetation, increasing the risk for wildfires. For the first time ever, a purple wind warning was issued for today under the color-coded system used to advise about high winds. This purple warning pushed wind expectations from the “high” category to “extreme”. Ready to help Here at SERVPRO of Walnut we are monitoring this wildfire situation closely. Our thoughts are with those neighbors who may be put in harms’ way during this event. 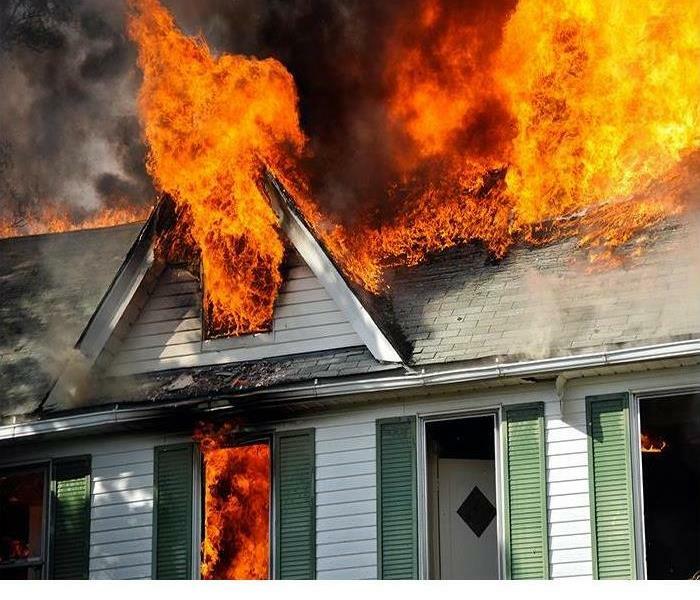 In many cases, a wildfire can result in a total loss for a home or business, but in others it may be a partial loss, or can result in mild smoke damage. If your home or business is affected by a wildfire, SERVPRO of Walnut is Here to Help®. If one is, you should always be prepared. Although violent storms can strike anytime, the spring and summer months typically mark an increase in the threat of sudden, severe storms that sometimes include wind, rain, lighting and even hail. Authorities issue a storm 'watch' when the potential for severe weather exists. A storm 'warning' will be issued when danger from a severe storm is imminent. The following tips will help prepare you to better protect yourself and your property when a storm is on the horizon. Put a communication plan in place and prepare an emergency supply kit, including a battery-powered NOAA weather radio. Postpone outdoor activities; secure outdoor objects that could become airborne. Don't use corded phones or any appliances that are "plugged in." Use cell or cordless phones instead. Seek shelter in a home, building or hard top automobile. The steel frame of a vehicle (not the rubber ties) can help protect you from a lightning strike if you avoid touching metal or other conductive surfaces. Avoid windows and doors, don't lie on concrete walls, and stay off of porches. If you are outside when a storm hits, quickly seek shelter in a sturdy building. Avoid small, isolated structures in open areas and steer clear of hilltops, open fields, the beach or a boat on the water. Avoid storm-damaged areas. Stay away from downed power lines and never try to drive through a flooded roadway. Replenish your emergency supplies and repair property damage promptly, before the next storm strikes. Mold growth from water damage that occurred when occupant was on vacation. Coming home from your summer vacation to find your house flooded from top to bottom? Is something that is common in the summertime. SERVPRO of Walnut receives many of these losses, including this home that suffered a water loss in Chino Hills, CA. At the beginning of August the homeowner came back from her 2 week vacation to find her kitchen, living room, family room, and bathroom submerged in 2 inches of water. SERVPRO quickly responded and started mitigating the damages, but since the home was vacant for a long period of time, mold grew throughout the affected areas. This caused a longer mitigation period and a more stressful situation for the homeowner. How do you prevent this from happening to your home? Turn off the main water line before you leave your home for an extended period of time. Check for loose pipes, faucets and supply lines and check for signs of leakage. Have a trusted friend or relative come by your home periodically to make sure everything is normal. Contact SERVPRO of Walnut for all your cleaning and restoration needs! (909) 598-8400. Is Your Business Affected by Water Damage? SERVPRO of Walnut can help! Water damage can attack your commercial property without notice. Moreover, the impact of water damage can be dangerous and devastating. On top of that, business owners who experience water damage are faced with the task of arranging water removal and cleanup procedures while simultaneously expediting the process of getting their company up and running again. With all of these pressures, many business owners may find themselves growing concerned in the face of commercial water damage. However, knowing how to prevent water damage and restore property and business items that have been affected, makes good business sense. Here is some following information that may help better prepare your business if water damage may occur. Flooding- Usually requires a specific insurance policy. Sewage Backups- From main or interior plumbing problem. From clear potable water from a tap to backup sewage contaminated water, the source must be identified, stopped. Then safe water extraction. Commercial Water Damage Prevention and Mitigation Strategies:First, know the location of the main water shut off valve. Also, make sure that you have an emergency evacuation plan in place, personal safety first. This emergency plan should include clear instructions regarding what steps should be taken if a water damage incident take place. The Importance of Hiring Professional Services:Although you may feel inclined to handle the water extraction and cleanup processes on your own, a professional effort will shorten your down time, salvage more capital investments, and protect your customers and clients interests and needs. 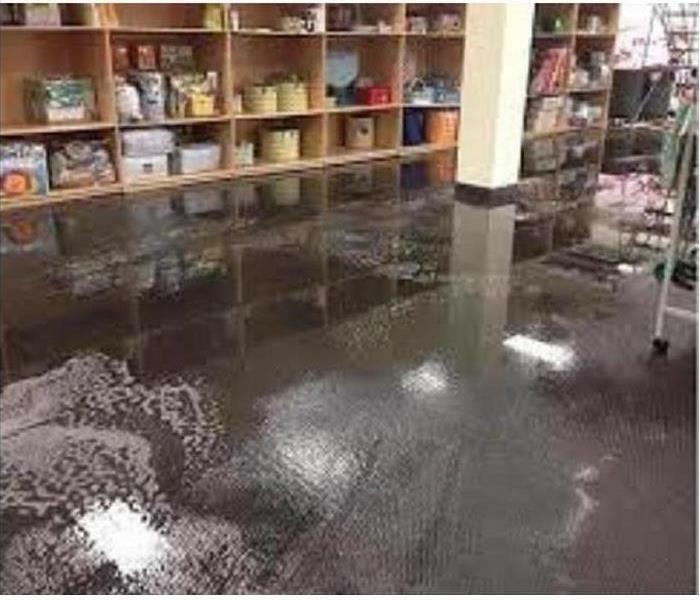 In fact, most business owners lack the advanced knowledge and specialized equipment necessary to expedite and optimize the water damage remediation process. Skilled professionals from SERVPRO will be able to provide you with detail-oriented, comprehensive services that get your property restored in the least amount of time. If you’re commercial property is affected by water damage call SERVPRO of Walnut (909) 598-8400, so your business can be assisted right away. 6/22/2018 - Is A Storm Coming? 6/18/2018 - Is Your Business Affected by Water Damage? SERVPRO of Walnut can help!